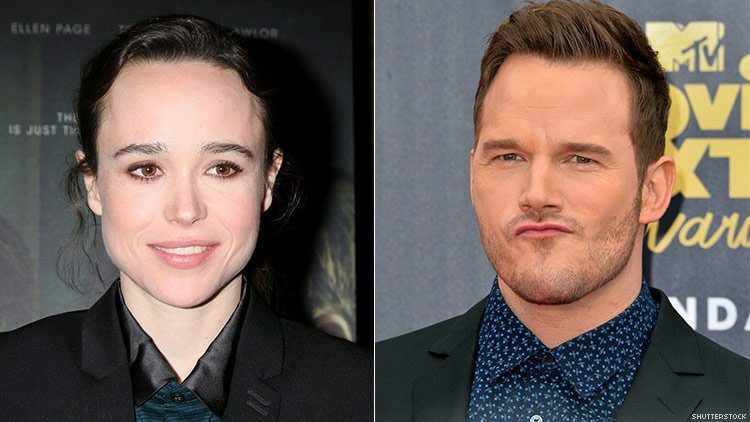 Chris Pratt’s church Hillsong is now under more public scrutiny following Ellen Page’s callout. In Los Angeles and religion, two things that Chris Pratt is very much knee deep in, being polite is sometimes equitable in people’s minds to being nice. However, the two things can often be in direct conflict with one another. Case in point: Chris Pratt has recently been talking openly about his Christianity, which is all well and good, there is nothing wrong with religion. There is however a lot of undeniable wrong with homophobia, the exclusion of the LGBTQ population, and anyone who argues against that point is absolutely snitching on themselves. Hillsong, the hip Los Angeles church that, according to the AV Club, houses Justin Bieber, Chris Pratt, and the one church regular getting attention in this article: a slew of backwards thinking on homosexuality. Ellen Page called out the hypocrisy of Stephen Colbert on The Late Show not asking Pratt about his place in the church. (Again, only a few weeks after Page herself made headlines for a beautiful, heartfelt plea for a lack of hate in our leadership when discussing Mike and Karen Pence’s homophobia, and the hateful attack on Jussie Smollett). The church’s homophobia was covered in an article from Lea Ceasrine, who left the church, and wrote in her op-ed titled: “WHY I LEFT HILLSONG, JUSTIN BIEBER’S BELOVED EVANGELICAL CHURCH”, writing about the church’s leader, Brian Houston, saying that he opposed gay marriage, and writing. Gross. Here’s hoping Chris Pratt releases a statement about his association with a homophobic church, and here’s hoping that Colbert and the like challenge the stars that come on their show, even if it might risk losing them. It’s what the brilliant Jon Stewart did, with topics as heavy as hate and economic destruction, to subjects as dumb as the Garfield movie — or what Colbert himself did famously with George W. Bush. Said to see politeness has trumped niceness. What did you think of the call out? Let us know in the comments or on Twitter at @WhatsTrending, and check out our video about Stephen Colbert making fun of Donald Trump’s press conference below.